We spend much of our lives in the vehicles we own. To and from work, vacations, shopping etc. And no matter how safe a driver you are, there is always the risk of an accident caused by the other, non safe, bozos out there. And if you are involved in a crash, you may need to get away from the vehicle quickly. 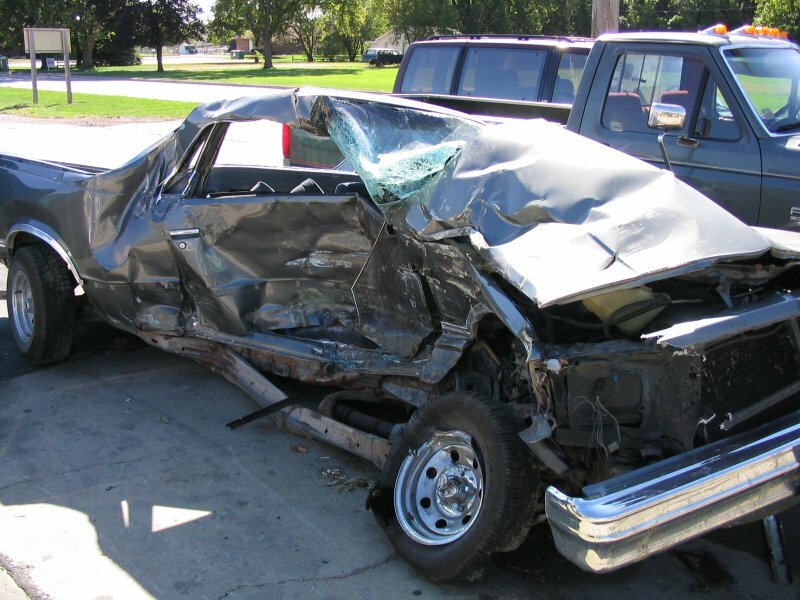 There are many things you can do to avoid being in a vehicle crash. Keeping distance from you and the vehicle ahead, NOT texting and driving, and having a heightened sense of awareness by staying in condition yellow are all good preventive measures. Wearing your seat belt is also a good preventive measure and seat belts have saved a tremendous number of lives in vehicle crashes. They can also get stuck in a crash, trapping you in the vehicle. And that is not a good thing, especially if the vehicle catches fire. If your doors get stuck in a crash for whatever reason, there are two barriers you may have to overcome to escape the vehicle: your seat belt and the window. There are a number of handy tools designed to help you get through these barriers to safety. Designed for the military to enable troops to escape wrecked vehicle, the Rescom has a blade length: of 1 7/8″. Overall length: 4 1/2″. Weight: 2.4 oz. This is a sturdy and handy tool that is designed for one hand opening. It is made in Germany by the Boker company and the blade is AUS-8 steel. My only problem with it is that it doesn’t have a glass breaker, however it was designed specifically as a seat belt cutter at the request of the U.S. military. I have been a fan of Gerber products for years. The Gerber Crisis Hook knife was developed for the military and EMT market. The Crisis Hook Knife is made to quickly and safely cut through anything from a seat belt to clothes and even cords, straps, or flex cuffs, Blade is 420HC stainless with a length: 2.9″. Overall Length is 8.1″, and it weighs 3.0 oz. The pommel has a glass breaker for getting out of windows and the knife comes with a MOLLE compatible plastic sheath. Ontario is an American company that has been making a variety of blades for the American military for a long time. The machete I carried in Viet Nam was an Ontario. This rescue strap cutter was originally part of an air crewman survival set, but is now sold separately. It is US Army issue, has a replaceable strap cutter and is equipped with a ceramic sharpener on the handle spine which also has a screwdriver tip, which could probably be used as a glass breaker. Sheath sold separately. Leatherman has been making quality multi tools for years, and has a well deserved reputation for quality. I can remember when “Leatherman” was used as a generic term for any multi toll, regardless of manufacture. The CAM has a 420HC stainless blade, a broad head wrench, ceramic sharpener, and a carabiner end for convenient carry. It weighs in at 2.6oz, and is 4.8 inches in length. My only criticism is that it does not have a dedicated glass breaker. This is a well made folding knife that is equipped with a seat belt cutter and glass breaker on the pommel end. It has a 3.4 inch blade of 4030 stainless steel and weighs 2.6 ounces. Life Hammer bills itself as the original vehicle emergency escape tool, and they may be right as I have one I bought many years ago. It comes with a double-sided head with hardened steel points, a mounting bracket to hold it in place within your vehicle console until needed, and a protected razor-sharp blade to cut through a seat belt . Being trapped in a vehicle that is on fire, sinking, or otherwise threatening your life, is not a pleasant thought. The tools above will give you a fighting chance at escape. Many have been tested by the armed forces and are proven designs. None of them are overly expensive. Tried on both toughened (quarter light, side windows, rear window) and laminated windscreens. Popped all four with ease. IN THE CORNERS. Only once laminated is popped, you still have to put loads of pressure to actually push the now flexible “mat” out. Probably because most modern windscreen glass is glued in. As for the belt cutter? The newer the strap the better BUT always at an acute angle it doesn’t like right angle cuts. Back in to TP mode. The resQme can be useful in scavenger mode too. I’ve popped many a double glazed unit in the corners to gain fast access to a building. Only be careful. Normal window glass will break into “shards” and that’s not an easy thing to clear safely out of your way. I’m never going to get into heaven am I? It’s good to see folks actually test the gear they carry and might need. Most just buy and forget! LOL! Actually, I’m not really all that concerned about the glass breakers as my Glock will get me through any car window. It just might be faster with one tool in hand. I have heard some good things about it. Just didn’t have room to include it in the article. Have you ever tested it on strap and glass?